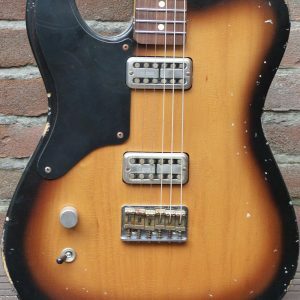 I am Angelo van Merrienboer (1971), wanted to become a guitar builder for as long as I know. When I first started, I only built my own designs, for myself and for my friends. Johan Reebergen was my teacher. Then I started working as a guitar repair guy, including aging and customizing, for Max Guitar Store and Benelly Imports. 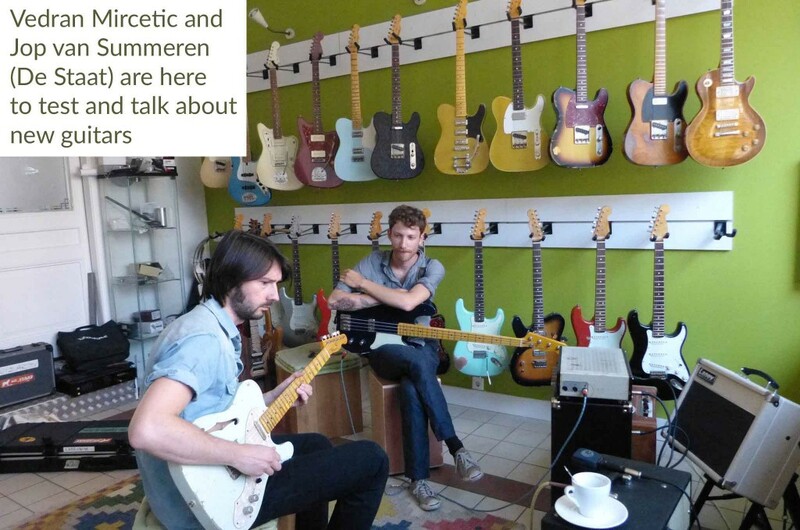 In 2009 we moved to the Obrechtstraat 71, where we started The Guitar Lounge, our little store right in our house. When I made a few T-traditionals and aged them to create a good vintage vibe, Panucci Custom Guitars was born. My handmade pickups gives them a distinct, personal sound that so many people are crazy about. Traditionals are great, but my true passion is designing my version of the most famous electric guitars. In the end, I want to create everything a guitar player needs on stage. My aim is to build guitars that inspire musicians. Nothing is more fulfilling than when a guitar player has found a match with one of my guitars that makes him play new things, create new songs, sounds and melodies. My guitars should give you the wow factor. And not just at this one moment in the store. I want you to stay happy with the guitar over time. That is why I make all the effort in the set up, the fretwork and all the details that you don’t need to worry about. I try to avoid maintenance issues, so you will have more joy in playing the guitar. Supreme quality is in the detail. Lots of research in every tiny part of the guitar is what makes Panucci Custom Guitars special. Looking for a vintage appearance, yet seeking improvements where I find that it is necessary. And, they have all the upgrades that you would wish for!!! To stay in control of this high end quality, all Panuccis are made by me and only by me. I don’t work with apprentices. Yes, that limits the production amount to a maximum that I can handle. 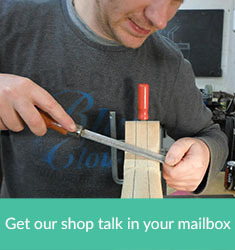 But this is how I can guarantee high quality craftsmanship and master grade guitars. Panucci, what’s in the name? The highest goal in guitar building and craftmanship is archtop guitars. 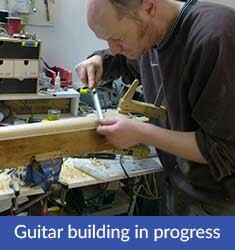 I have been at the guitar builders school CMB Puurs in Belgium for four years to learn building acoustics. So far, I have only build a few of them, and I hope to continue building archtops for a long time. The famous builders like D’Angelico and D’Aquisto all have Italian names (they come from violin building traditions). While Angelo may sound Italian, my last name Van Merrienboer certainly does not. The name Panucci comes in place for all my guitars, including the archtops. 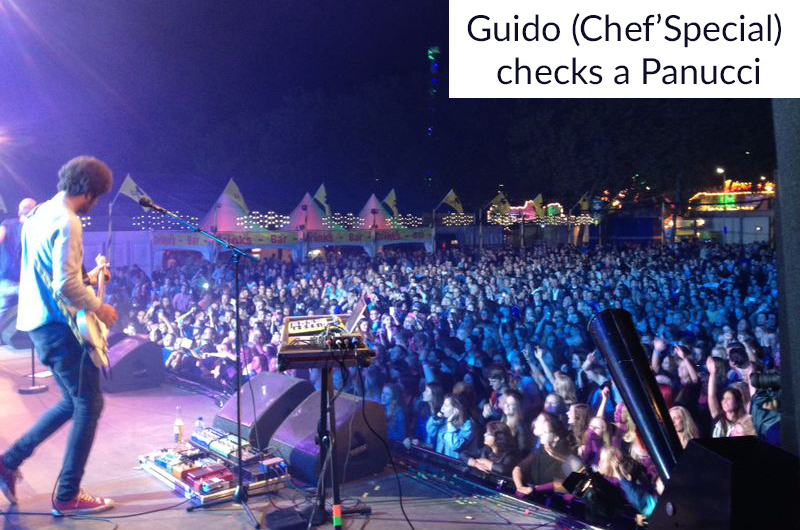 De Staat, Chef’Special, Mister&Mississipi and Milkbar. 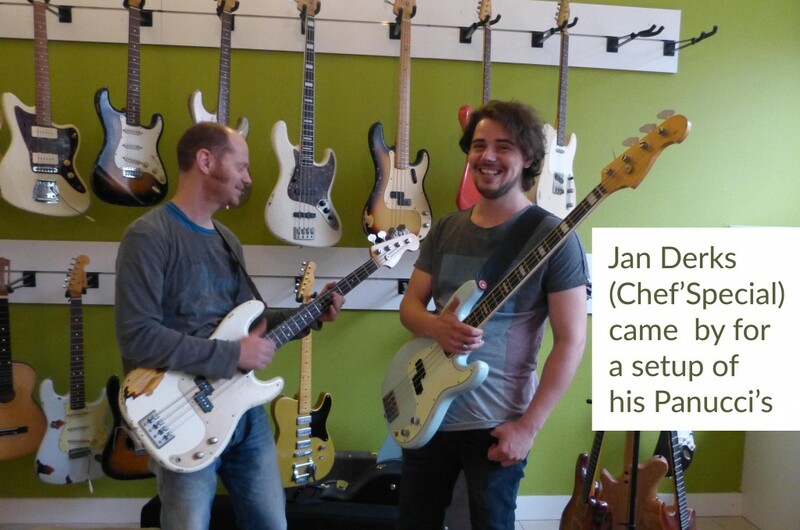 These bands and many other musicians have chosen Panucci Custom Guitars. Their opinion: Panuccis play fantastic, the sound maintains through the mix, the pickup sound is excellent, versatile for many styles of music and the aged vintage looks make a great impression. 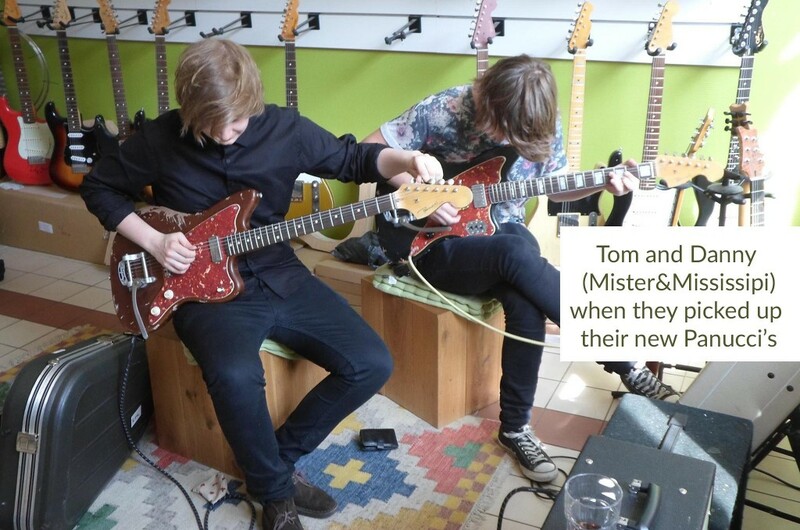 Great quality master built guitars at an affordable price. Curious about playing some Panucci’s? 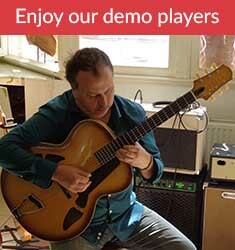 The Guitar Lounge is here for you to test our current stock. 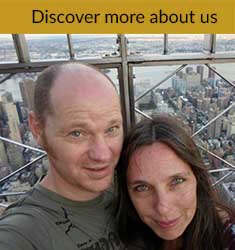 Contact me if you plan to visit us. We can make an appointment, also outside of ‘regular store hours’. What is it about Panucci? 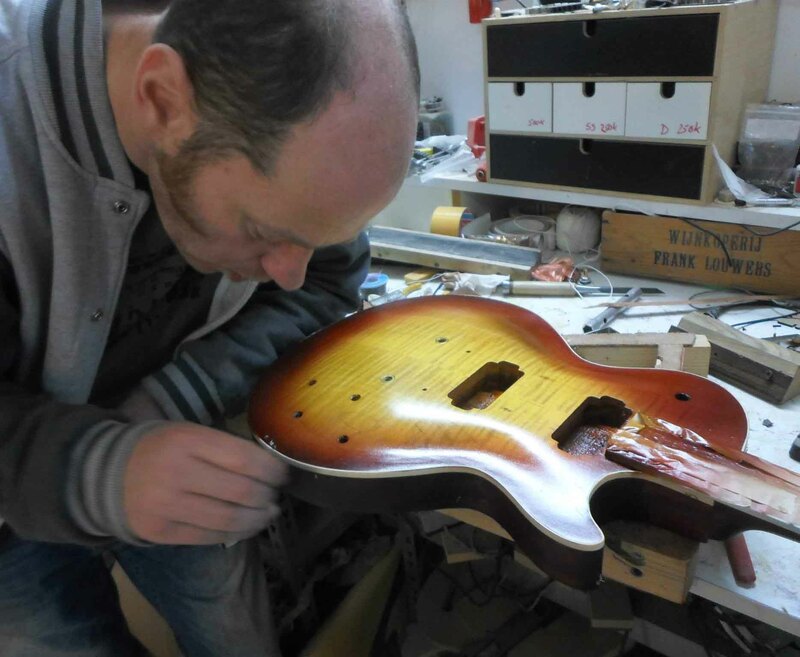 Panucci Custom Guitars is made possible by a contribution from the European development fund of the European Union. 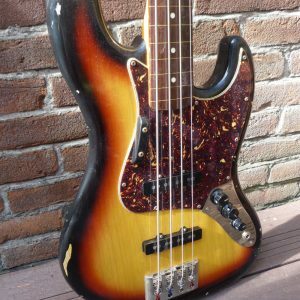 Panucci Custom Guitars is NOT affilated with Fender Musical Instrument Corporation or any other musical instrument manufacturer IN ANY WAY. 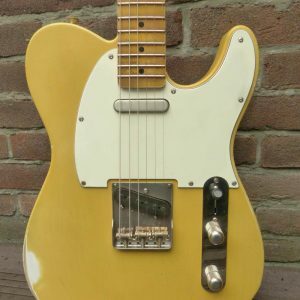 Fender, Strat, Stratocaster, Relic, Tele and Telecaster are registraded trademarks of Fender Musical Instruments Corp. Panucci Custom Guitars IN NO WAY IMPLIES THAT IT BUILDS OR SELLS FENDER GUITARS. These are NOT Fenders or fender finishes. 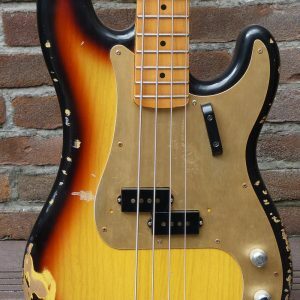 Fender, Strat, Stratocaster, Relic, Tele and Telecaster are registered trademarks of Fender Musical Instruments Corp. Panucci Custom Guitars IN NO WAY IMPLIES THAT IT BUILDS OR SELLS FENDER GUITARS.